We had a recount following a further examination. Twenty! On one Wee Black Dug! 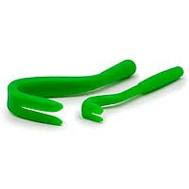 Thank goodness for green plastic forky things.